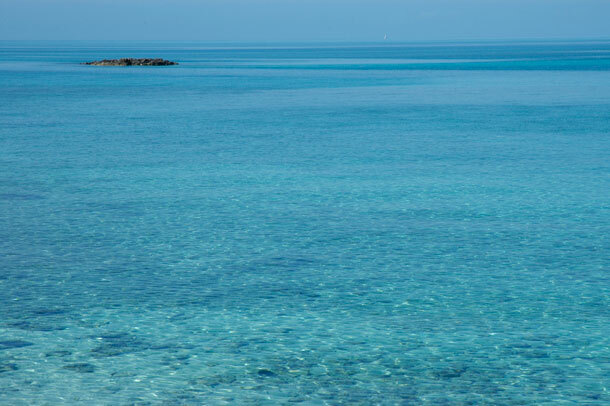 Ship Channel Cay January 1 – January 2. Ship Channel Cay from our anchorage looking south. We are anchored on the side of an ancient sunken mountain of limestone. To the east, the very tops of the ridge of the mountain reach out of the water dotting the landscape. These bits of land host dense masses of tangled vegetation and just few species of animals that make this remote archipelago their home. 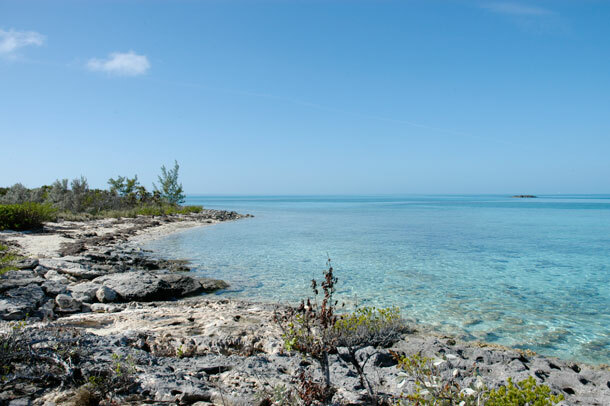 To the west lies the Great Bahama Banks, clear, shallow water harboring varied sea life and coral reefs teaming with exotic fish. In the distance, where the water meets the sky, sailboats travel invisible highways around shallow banks of sand and sea extending out from one oasis of land to another. 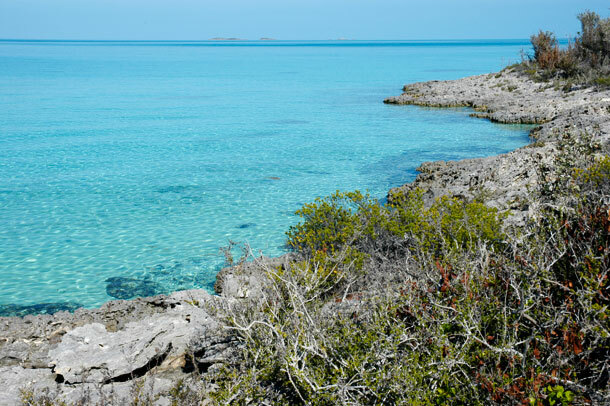 This is the Exumas, a 140-mile island chain of inspiring Bahamian beauty. We left Eleuthera early New Yearâ€™s day. As we motored out of the harbor at Rock Sound, our new friends on the sailboat Side by Side called us on the VHF to wish us a safe journey. It was a bright clear day. 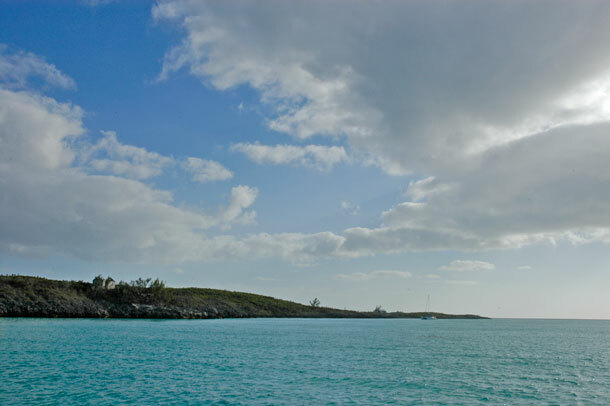 The wind blew steady over our stern pushing us westward across the expansive and deep Exuma Sound to our destination. We made good time and arrived in the Exumas through the Ship Channel cut and dropped anchor off of Ship Channel Cay by mid-afternoon. 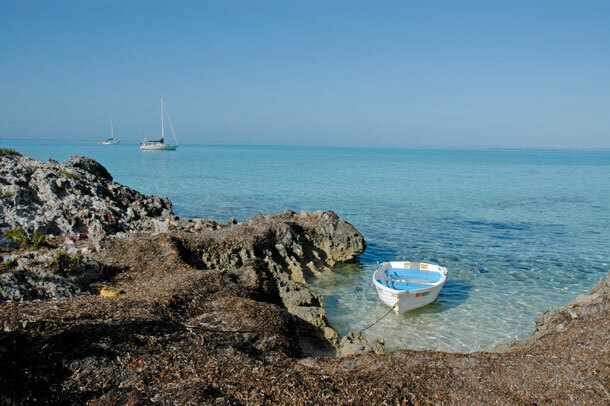 Ship Channel is the northern most cay in the Exuma chain that offers a decent lee anchorage. Our stay here was brief. According to the chart book there is a lodge on the island with a bar, but we didnâ€™t visit it. 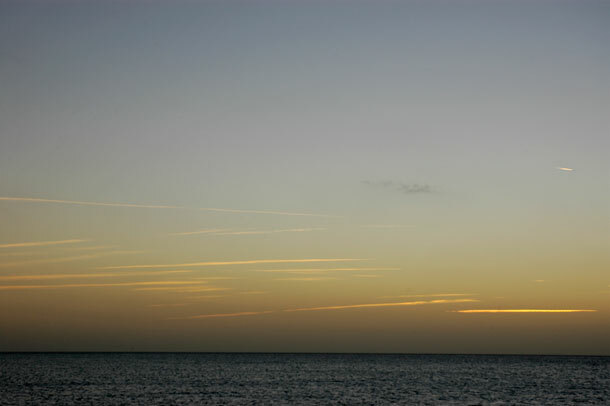 On the morning of the 2nd we dinghyed to shore across calm shallow water, drifting over small reefs teaming with fish. We hiked the coastline as far as we could go, but disappointingly didnâ€™t find any trails into the interior of the island. 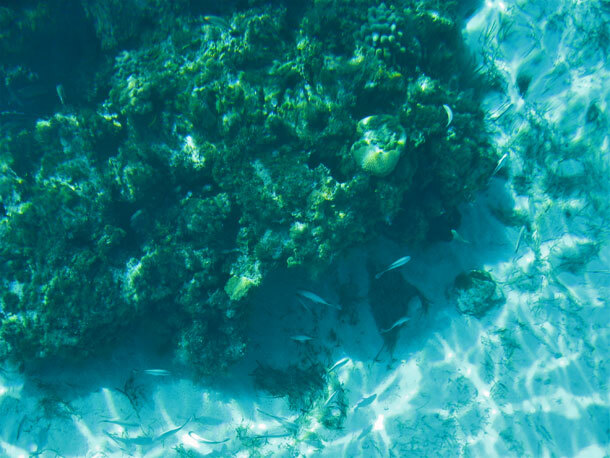 A few fish in one of the many small reefs off of Ship Channel Cay. Fever (our dinghy) waits while we explore the land. Ship Channel Cay, looking south. Ship Channel Cay, looking north. Looking out towards the Great Bahama Bank. Glad to see a post…was getting worried. 🙂 Nice post. As always D.D, I’m so very proud of you! Have LOTS of fun! More pictures please.